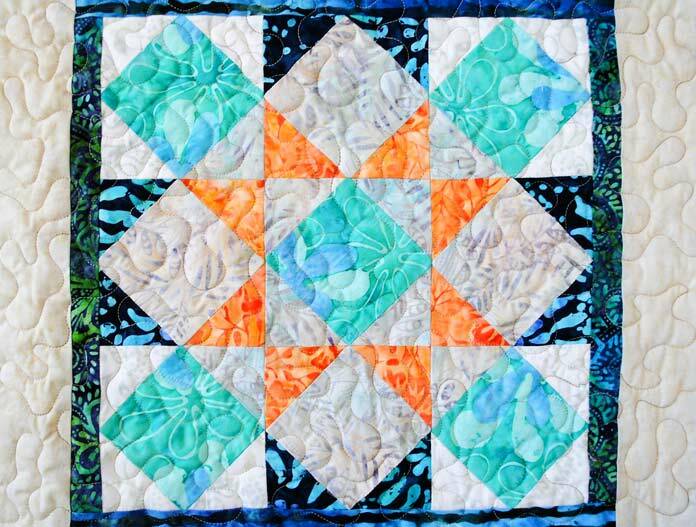 Yesterday on QUILTsocial I gave you 8 great reasons that you should use blocks leftover from other projects to make placemats. 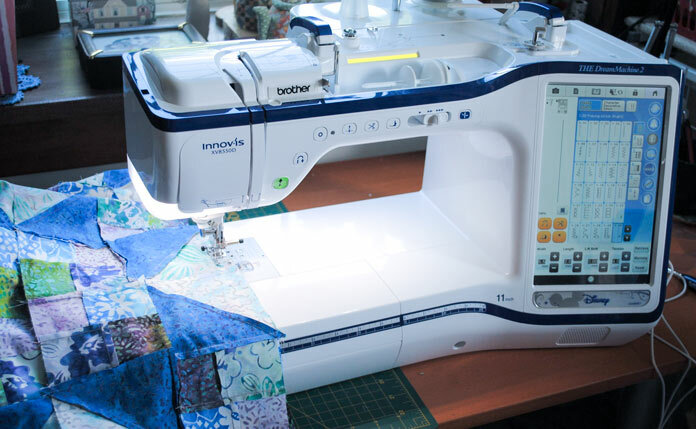 Today I’m sharing with you a few different ways to use THE Dream Machine 2 from Brother to sew these blocks into placemat tops. Placemats can really be any size or shape that you like! Most of the time I like to make my placemats in a rectangular shape about 12″ x 18″ but sometimes they end up a little bigger or smaller. You can also make round placemats or oval ones, or even ones that are shaped like a large leaf or other motif. For our placemats today, I’m aiming for ones that are around 12″ x 18″. 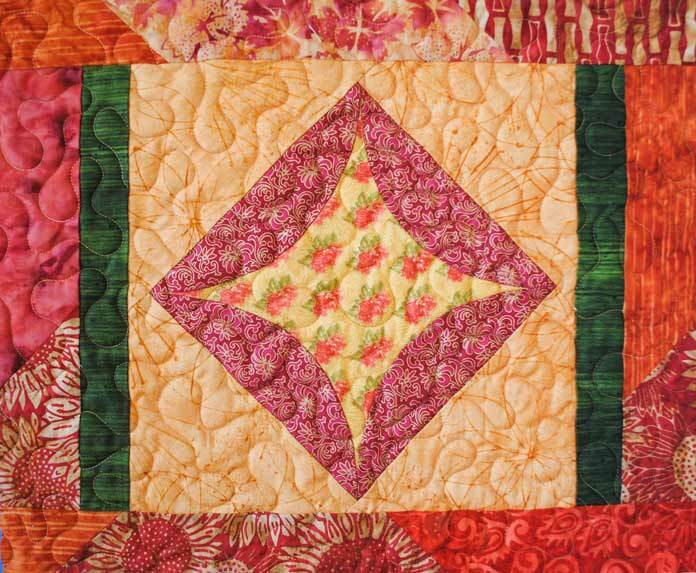 A large block that’s already 12″ tall enough such as this half log cabin block, only needs two borders added to the sides to make the placemat the correct size. 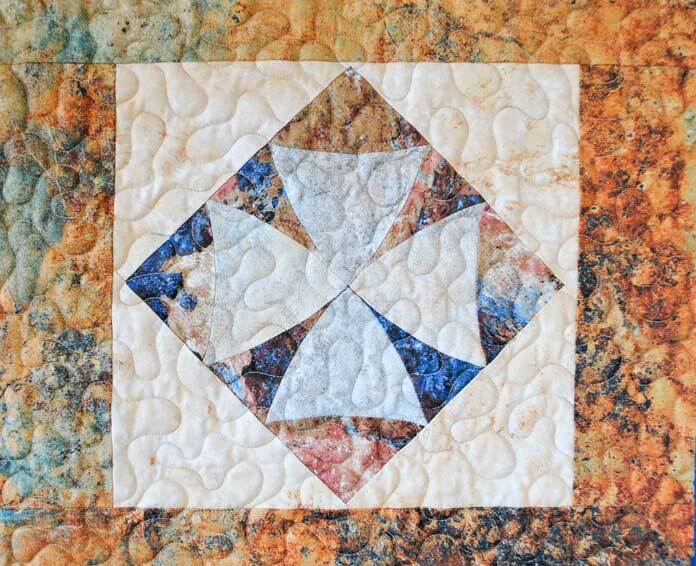 If a large orphan block, such as this 11″ batik block, isn’t quite tall enough for the placemat a small border can be added all the way around the block and then side borders can be added to the two sides of the block. A small orphan block can be set on point with setting triangles before different width borders are added to the top/bottom and sides to make a simple placemat. 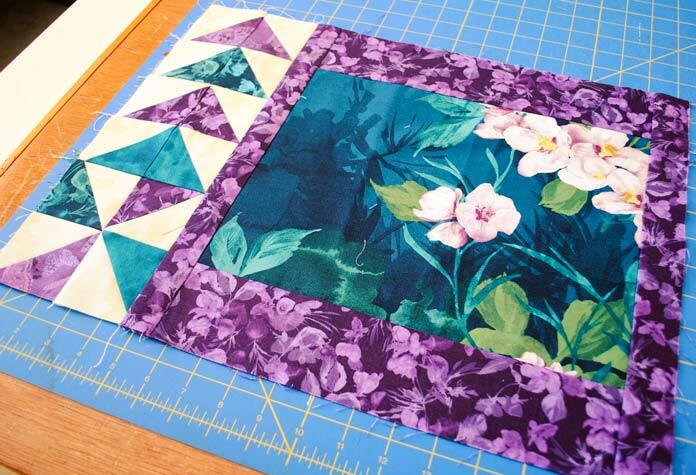 A smaller block can first be set on point with setting triangles and then extra borders are added to the sides and top and bottom to make the placemat the correct size. Small blocks such as these flying geese units can be made into a side border for a simple placemat made with a focus fabric and border. 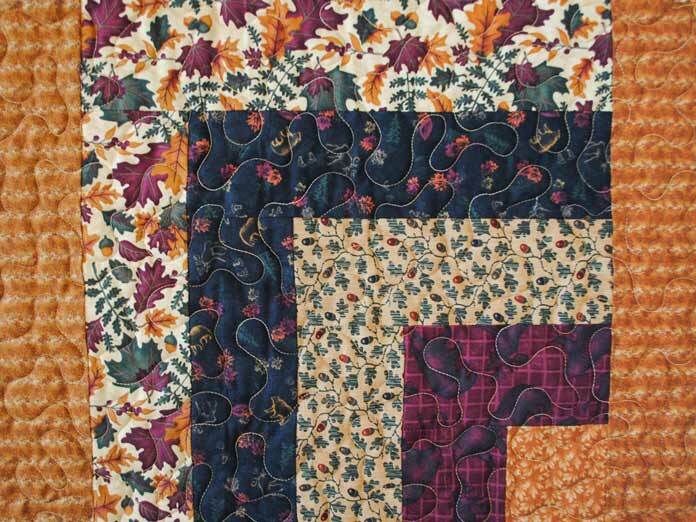 Make the pieced border first and them make the rectangle with borders the right size to fit the pieced border. Now that our orphan blocks have been made into placemat tops, we can get to the embellishing, quilting and binding parts! Join me tomorrow when I show you how to use THE Dream Machine 2 from Brother to add decorative stitches to a simple placemat.